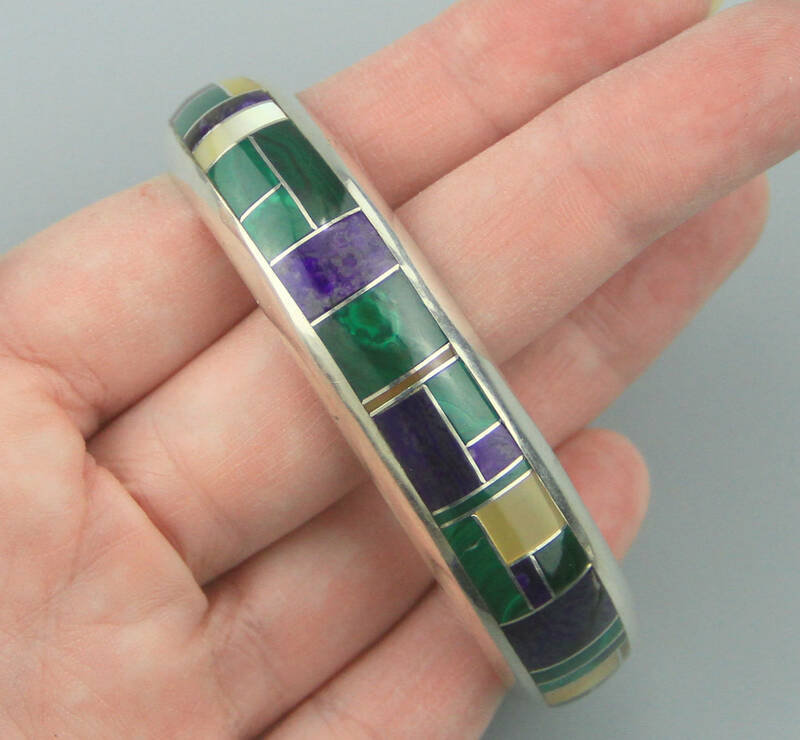 Amazing, heavy, detailed inlay bracelet. 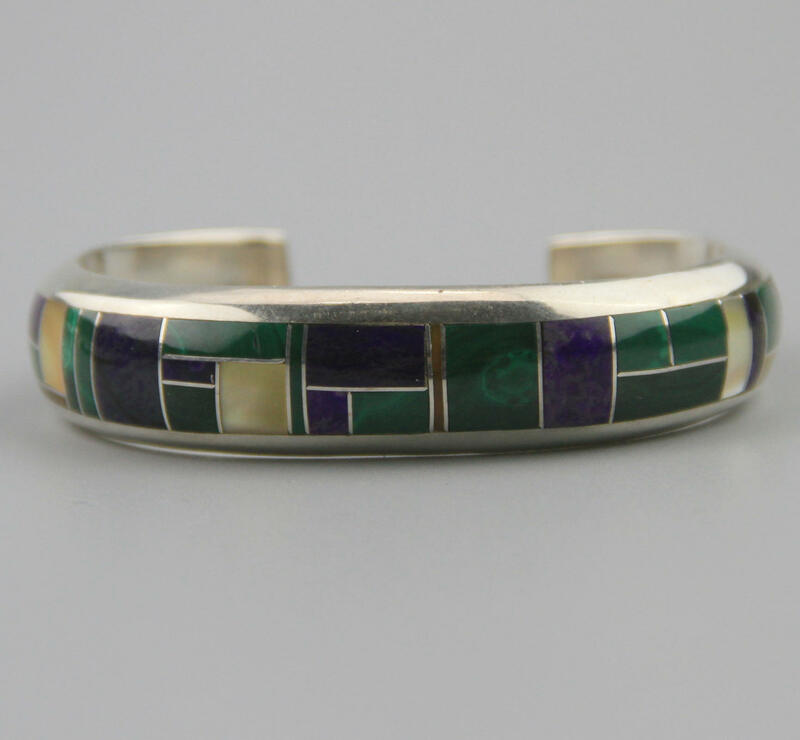 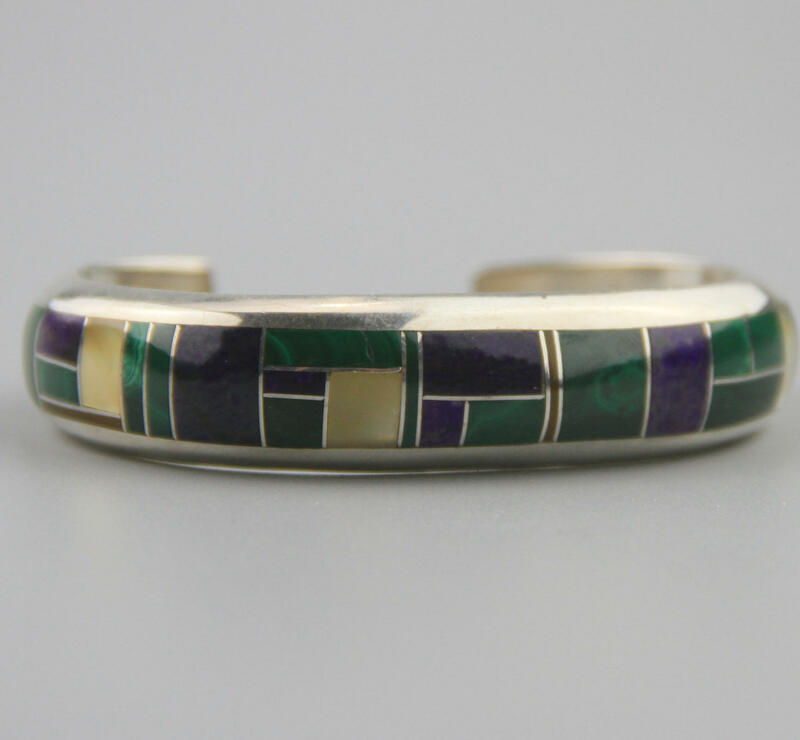 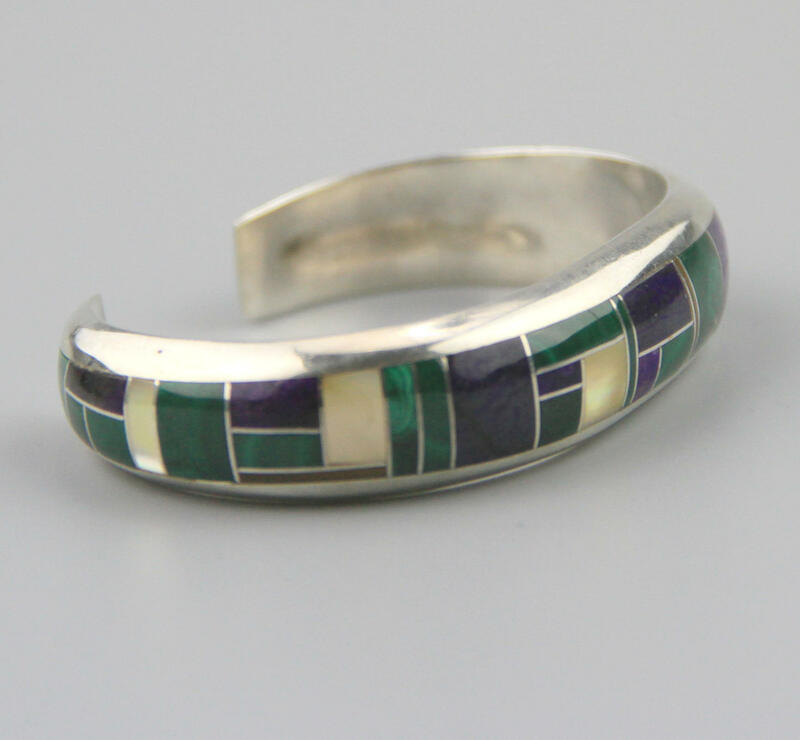 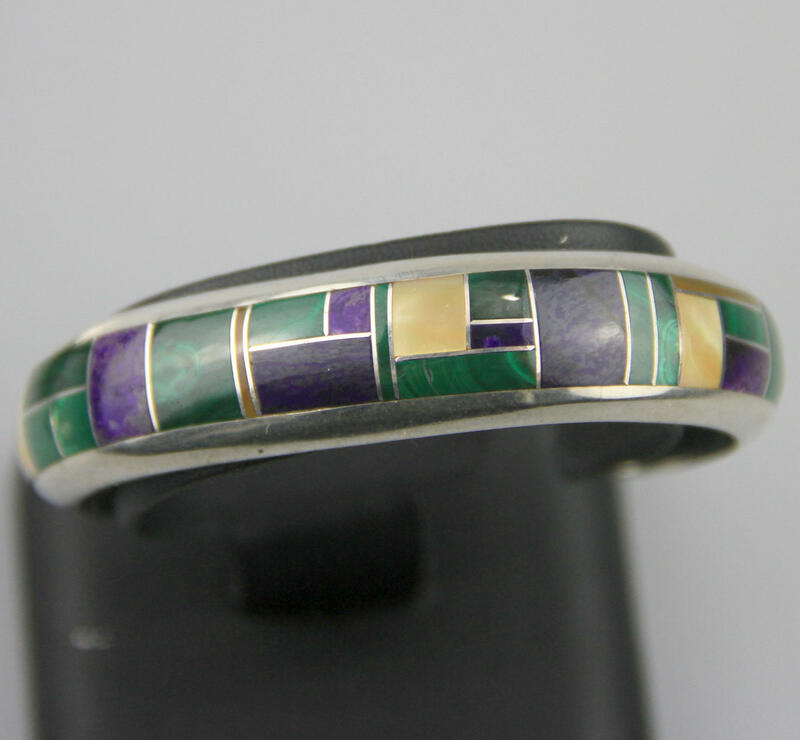 Handmade by Native American silversmith J Howe, circa 1980's, this is a spectacular inlay cuff of sugilite, malachite and shell. 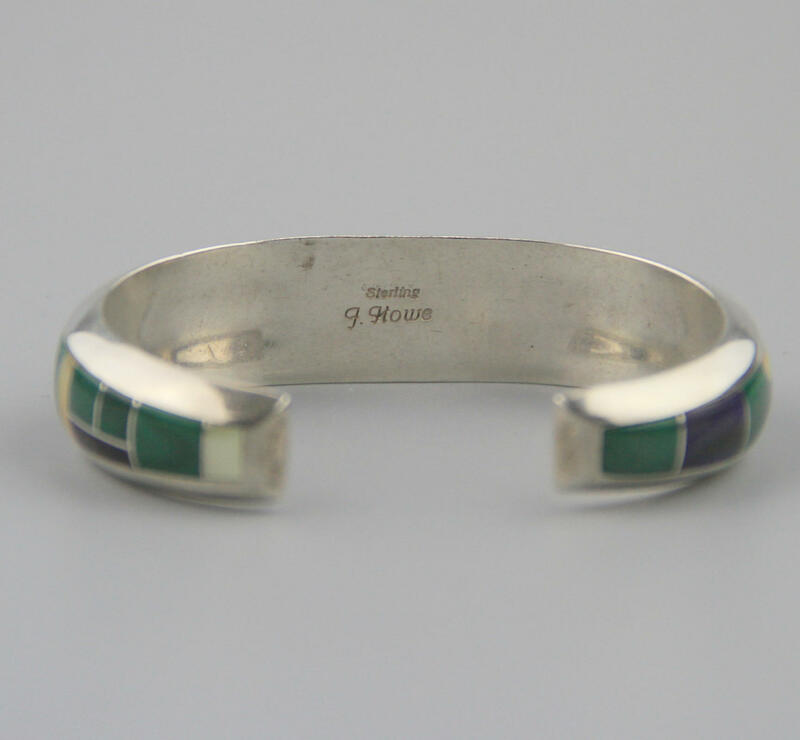 The gap is only 2.5cm so is made for a a small wrist. 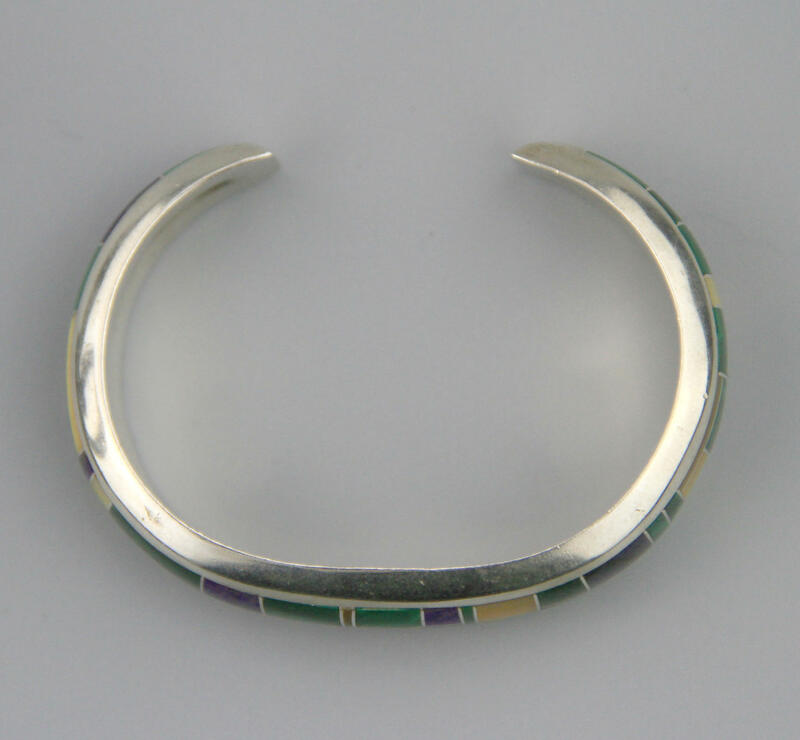 This is a high quality bracelet, heavy gauge of silver and detailed smooth inlay work.